Playing these traditional Scottish links, you may witness seabirds diving for food, migratory geese, and seals sunning on the sand. In the distance, you can see the profile of Edinburgh, its Castle, and the long extinct volcanic cone of Arthur’s Seat. The course is secreted away from the village via a few hundred yards of private, single-track road. 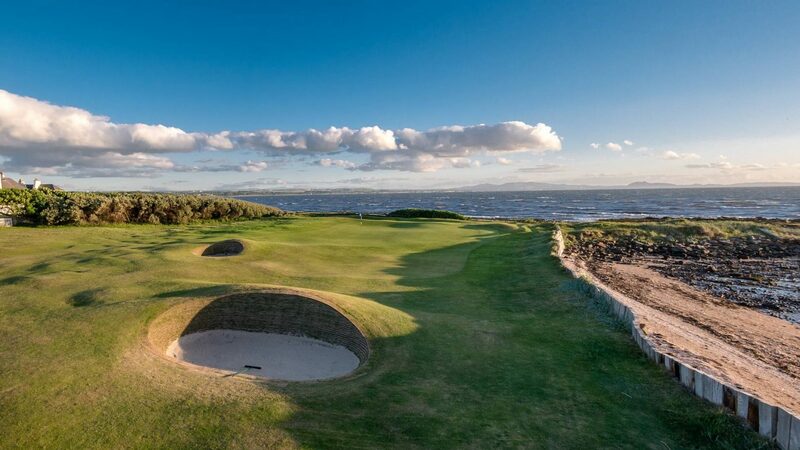 Kilspindie is a favourite of any golfer who has played it: quick, deceptive greens; well-defined fairways; a good challenge, whatever your handicap! Kilspindie has been host to an alternative Ryder Cup, with 12-man teams playing with pre- 1930’s hickory shafted clubs. Kilspindie is reputed to be the 35th oldest golf club in the world, instituted in 1867. The charm of the 114-year-old is complemented by the warmth of the welcome from the Club’s Secretary/Manager Keith Martin, Golf Pro Graham Sked, Mrs Marion Harkness and her dedicated bar staff, and Paul Kinnoch and his catering staff. Special packages for 12 or more golfers. Located just of the A1 in the beautiful village of Aberlady - 3 miles from Gullane. £55 during the week £69 at weekends £85 day pass through the week £95 day pass at weekends. Visit www.golfeastlothian.com for further details. Putting Green, Practice area, Professional Shop, Locker Rooms, Resaturant and Bar Club hire, Caddies, Buggies, Electric and Pull trolleys Over 70 different malt whiskies in our bar to choose from.